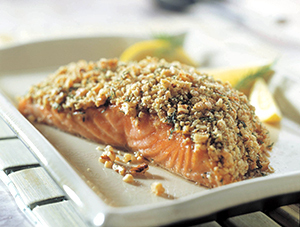 As you know, October is National Seafood Month — our favorite month here at Seafood Nutrition Partnership. All month long, we invite you to celebrate with us. Check out how you can get involved in October, and all year long. Our influencer network for RDNs who love delicious seafood & have a passion for sharing tasty tips. You can win fun prizes all month long with a series of fun contests and giveaways! Don’t be "shellfish," help spread the word. Share how you eat #Seafood2xWk on social media. We’re always looking for inspiration, recipe ideas, and general tips about buying, cooking, and eating seafood. Tag us (Insta or Twitter) on your posts and use the hashtag #Seafood2xWk. Learn all about sustainable seafood in our two-part webinar series, free to all and CPEUs for DPG members: On Tuesday, Oct. 2, Food & Culinary Professionals hosts A Sea of Change: Understanding What Sustainable Seafood Means Today and on Tuesday, Oct. 9, the Healthy Aging DPG hosts Feeding Your Brain: The Importance of Omega-3s as You Age. There’s no better time than National Seafood Month to take the pledge. Visit seafoodnutrition.org/pledge and sign up. Once you sign up, share it on social media and encourage your friends and family to take it, too. 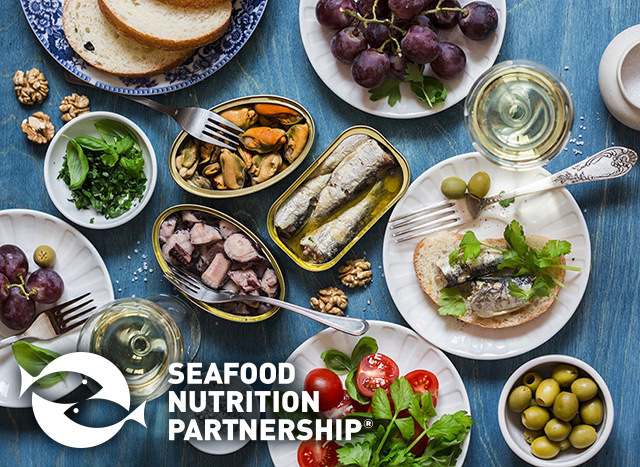 Visit Seafood Nutrition Partnership at FNCE® (Booth #2527), where we will be serving up barramundi bites, taste-testing wild Alaskan salmon jerky and celebrating Taco Tuesday, while sharing the latest science and resources on seafood nutrition. Email Andrea if you want to attend one of our early morning workouts at FNCE® — we're hosting yoga on Sunday and FlyBarre on Monday. Space is limited! 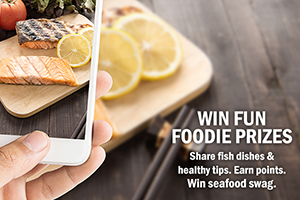 Throughout FNCE®, be sure to snap a pic of your tasty seafood meals (or come to our booth!) & share it on social to enter the #TeamGoodFat sweepstakes. California Walnuts, Fresh Avocados - Love One Today® and SNP are coming together to educate on healthy fats, and are giving away 30 $100 prizes!